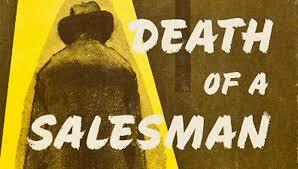 Death of a Salesman is a fundamental American tragedy; a cautionary tale about the slow-motion fall from the heights of a profession that itself is sinking. It chronicles an identity crisis, a person’s inability to accept change within one’s self and society. Such is the case, these days, with the fallen Gods of our daily welfare, the Primary Care Physician, or PCP. The diminishment is evident even in the shrinking of the title down to a three-letter acronym. My father was a primary care physician when it was called a General Practitioner, or more often a Family Doctor. This meant that he was on the front lines, the first to diagnose any ailment and either treat it or triage it to a specialist for further evaluation. He was a community staple, revered for restoring the identities of those in his care from the illnesses that robbed them of their essential selves. He was well known around town and welcomed at restaurants like a celebrity. At my father’s funeral seven years ago, dozens of his patients—many of them customers for nearly 40 years—came to pay their respects and recount the many times he provided the healing they sought. My brother—also a PCP—inherited my father’s practice about 10 years ago when it was still a thriving operation. According to a 2012 article in the Annals of Family Medicine, doctors saw on average about 120 patients per week—enough time to spend about 15-20 minutes with each one. Then, as managed care took root and reduced both the co-pays and the coverage, my brother and his colleagues were forced to double their patient loads while cutting their individual time with them. The system was branded as a Health Maintenance Organization, or HMO. My brother didn’t mind so much as he enjoyed his job and the admiration that came with his practice in what’s called a “panel” (the number of total patients under his care, roughly around 2,400). He didn’t object to working harder. A few years later—mind you, we’re talking about a 10-year period at best here—another phenomenon conspired to evaporate his standing: more and more, people bypassed the PCPs and went straight to specialists within a model called a Patient Preferred Organization. As a result, visits to PCPs’ offices went down from 43% to 27%. On the face of it, this could sound like a tale of simple mathematics and the shift from the Willy Lomans of the world to large retail shops and online commerce operations. However, much more is lost than the mere transactional dynamics. Let me illustrate with one of many such stories that involved my brother (and no doubt tens of thousands of PCPs like him). My mother lived to 81 years of age despite being besieged by a host of ailments such as heart disease, high blood pressure and Multiple Sclerosis (MS). Toward the end of her life, she suffered a bout of severe hypertension and her cardiologist hospitalized her. Things got worse. She was put on a respirator. As her blood pressure normalized, the cardiologist ordered the respirator to be removed. However, she failed to breath on her own and the respirator was inserted once more. The cardiologist called in a pulmonologist, or a lung specialist. Tests were done. Nothing could be found, yet my mother was dependent upon the respirator for life support. Perhaps it was an infection. So an internal medicine specialist was added into the mix. Tests were done. Once again, nothing could be found. The team of specialists informed us that there was nothing they could do and told us to prepare for the worst. My brother, watching from the sidelines, spoke up and offered this diagnosis: maybe my mother’s MS had paralyzed the nerves in her lungs, preventing her from breathing on her own. She was given a course of steroids, which reduced the inflammation, and when they removed the respirator, she could finally breath on her own. 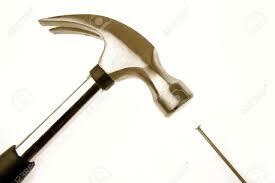 There’s a fitting saying: if you’re a hammer, every problem looks like a nail. The specialists each saw my mother through the narrow lenses of their respective specialties, failing to notice the big picture that was the purview of the General Practitioner. This fundamental perspective is vanishing as the PCP is squeezed more and more out of the picture by a healthcare system that fails to value the vital skills of a comprehensive diagnosis. Now too often, PCPs are the ones to see only for a physical or when you have an acute illness like the flu—a diminishment that herds them into a group practice setting where they can pool their resources and stay in business. This is mainly a phenomenon of urban or heavily populated suburbs where the three-act tragedy plays out: see more patients in less time; watch as insurance company formularies mitigate their function as treaters (vs. diagnosticians); and join a group in an effort to circle the wagons. (PCPs in rural environments, where they are the only physicians for miles, still play the role of family doctor, baby deliverer, or fixer of any other ailment with which they are presented.) Family doctors are in the midst of an identity crisis: who am I if I’m not treating a family with their host of complaints? Who am I if I’m no longer the first line of defense? Like Willy Loman, they are liked…but not well liked. Last year my brother shuttered his practice. He now works in what is called an IPA, or Independent Practice Association, as an overseer of care protocols for hundreds of his fellow doctors caught up in today’s challenging reality. IPAs are something of a union (my word, not theirs): doctors join the group, eventually creating a critical mass with the negotiating power to keep insurance rates from constricting their ability to do their jobs. It’s also called Corporate Medicine. It’s a good job. Nine to five, full benefits, vacation time, no emergency calls on weekends. Instead of diagnosing illnesses he diagnoses breakdowns in the system. He still plays a vital role, just one that doesn’t touch patients directly. And somewhere a general history of health fades away; the hub on which the wheel of medicine turns is lost; and a missed diagnosis keeps a patient on life support, just like the profession in general. Respect must be paid.